(MOTP) Georgetown, Guyana – (October 8, 2016) With the imminent swearing in of the Public Procurement Commission (PPC) expected later this month, President David Granger has said that his administration is committed to ensuring greater vigilance and scrutiny of infrastructural projects and awarding of contracts to eliminate opportunities for corruption and cronyism at all levels. The Head of State said, during an interview at State House yesterday, that the establishment of the PPC is very important, as it will create a more transparent process for the award of contracts. “It will remove from Cabinet the obligation of sorting out contracts, so it will be a transparent process. We haven’t been able to swear in Commission as yet for administrative reasons but I am confident this will be done during month of October. When the Coalition parties were in opposition it was something we fought for and now we have it,” he said. The President added that when it comes to the sourcing and management of Government rentals, his administration has taken note of the potential problems of having this done by individual Ministries. “We are aware that there have been complaints of the way in which contracts have been awarded for the rental of buildings. Cabinet has decided that the Ministry of Public Infrastructure will be the authority. So if a Ministry needs a building …it is Public Infrastructure, which will inspect the building and make recommendations on the rent that has to be paid. It wouldn’t be, any longer, the responsibility of the ministry to deal with contractors or landlords,” the President said. Speaking on the supervision of contractual obligations, the President pointed out that this administration inherited a number of infrastructural projects that were poorly constructed. “I am not suggesting that there was corruption, but there was a lack of enforcement of government policy and a lack of supervision, now this administration has to pick up the tab,” he said. The President listed the defective Kato Secondary School in Region Eight, the US$350 million bridge at Hope, East Bank Demerara, which needs significant rehabilitative works, the abandoned building at High and Princess Street, which was built to serve the then Ministry of Labour, Human Services and Social Security as well as several other projects around the country as examples of faulty projects, which have been inherited from the previous administration. “In every area we have had problems of infrastructure; how contracts were awarded, how work was supervised. There have been subject to audits. People have criticised us for audits but they have helped us to understand how the errors were made and it is our job to use the findings of those audits to correct those errors and to make sure there is no reoccurrence,” the President said. Minister of Public Infrastructure, Mr. David Patterson said that his Ministry has reviewed these projects and is working to fix the errors in order to get the best result possible. “We are accountable as a government, irrespective of who started the project and how badly they were done. We have to be accountable. We cannot abandon them…unless they are grossly inadequate. Most of them we have tried to salvage, some of them had totally poor planning and were irrelevant and had to be terminated, but we try to rework them as best as we can and to get best value for money,” the Minister said. President Granger has emphasised that the development of the overall infrastructural standards around the country is a priority for this administration, and several major projects have been implemented within the last year alone. Minister Patterson said that there are currently 70 major projects on-going around the country aimed at improving the overall road and bridge network, the sea and river defence, as well as drainage infrastructure in several parts of the country. Chief among these include works on the US$44 million West Bank Demerara road from Vreed-en-Hoop to Hydronie and the Sea and River Defence Resilience Project, which are both expected to be completed in 2018, works on the East Bank Demerara highway, which is expected to be completed by year end, and works on the road from Mahdia to Bartica, which is expected to be completed next year. The Minister added that there are also other community based projects being conducted in various parts of the country, which all contribute to about 34 ‘last lap’ projects which are to be completed by year end. To ensure that there is accountability and transparency in the award of these contracts, however, the he said that there have been significant adjustments made within his ministry to streamline the process. “We have come a long way… we have reviewed the process from top to bottom. We have prequalified a lot of new contractors. We advertise publicly and for the first time we are looking at the previous performance of contractors. So contractors who were delinquent prior will have to pay penalties. Contractors who were good will be encouraged to continue bidding,” he said. Other measures include the practice of holding both consultants and contractors responsible for errors, the introduction of a Bid Protest Committee, which allows contractors to protest bids. The Minister stated that the Committee also has the power of debarment, which allows delinquent contractors to be barred from accessing contracts if deemed necessary. “We have also placed an engineer in every Region. We use to be primarily located in Georgetown, but now we are in every region to ensure contractors do what they are supposed to do, “he said. Minister Patterson said that the process has thus far been fully transparent, adding that no contractor is favoured but is instead judged solely on ability. Additionally, he said that government understands that small and medium scale contractors should also be supported, which has resulted in the restriction of large contractors from bidding on small and medium projects. The Minister also ensured that the smaller contractors will also get a chance to receive contracts for the last lap jobs that will be conducted by year end. 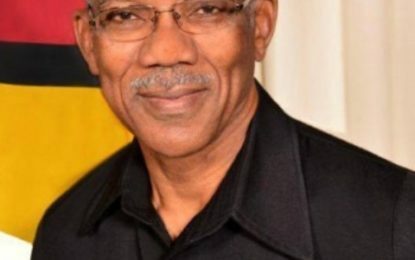 Even with these efforts by the Ministry, President Granger has said that the public can be assured that with the commissioning of the PPC, there will be greater transparency with regard to the award of contracts and other related matters, stating that it is something that his administration has fought for even before acceding to office.